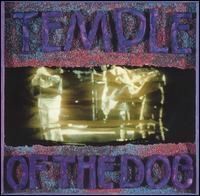 Temple of the Dog is the only studio album by the American rock band Temple of the Dog, released on April 16, 1991 through A&M Records. The album is a tribute to Andrew Wood, the former lead singer of Malfunkshun and Mother Love Bone. Wood died on March 19, 1990 of a heroin overdose. The album has been certified platinum by the RIAA in the United States.